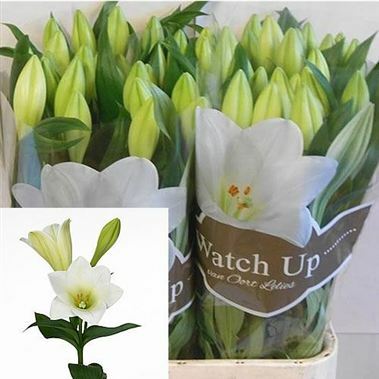 Watch Up are a Longiflorum Lily variety. They are a little different to a standard Longi in so much as the trumpet shaped buds point upwards. NB. Longi Lilies can take up to a week to open so always (without fail) order in good time and earlier than your other flowers.